As you you continue a summer of peace and quiet with the kids going to or off at camp, you find that you may have some concerns about them going away. Perhaps you’re worried about whether they’ll have a good time there. It’s also always a little disconcerting when they are away, and as a parent, you are naturally worried about their safety to some extent. Another concern may not be at the top of your list, but it should be a concern nevertheless, and this is the problem of head lice. There is probably no place where it’s more likely for kids to come in physical contact with each other than summer camp. Your child will make friends as they do numerous activities that will keep them occupied, and this is a wonderful thing. One of the bad things about increased contact with other children is the opportunity for the transmission of head lice. Do your part to ensure that a lot of annoying head scratching from summer camp lice does not stifle their happiness. Tell your son or daughter about head lice before they head off to camp. For basic lice prevention advice, let them know that they should avoid direct head-to-head contact with any other kids. Also, tell them not to share hats, combs, hair brushes or pillows with others. Another step will be to ask the camp what policies they have with regard to this potential problem. Do they check kids for head lice when they arrive and at any other time during their stay? If they find any, what do they do? Do they have head lice removal techniques they try that have worked for them in the past, or do they simply send your kid home? These are definitely some things you’ll want to find out while in the process of asking various camps questions to determine where to send your child.You may want to check your own child’s hair for lice before sending them off to camp. You may be so worried about them catching it from someone else that it doesn’t occur to you that they may be the one spreading it to others. You shouldn’t feel embarrassed about doing this. Having head lice doesn’t say anything bad about you or your child. Those little pests don’t care what race, creed or religion you are or what level you occupy on the socioeconomic ladder in society. A head lice comb and a light can be useful for finding them. After parting their hair and shining the light on their scalp, any lice will flee the light. Let’s say the worst case scenario has happened and your child has head lice regardless of whether you spotted it before they left or they picked it up at camp.The first thing is not to panic. It’s head lice not a major injury or a terminal illness. That said, it can still be a nuisance for your child, and you will want to have it handled for them quickly and effectively.Parents living in Dallas or Fort Worth will be happy to find out that they have the ideal head lice treatment solution within easy reach. The head lice removal experts at Lice Lifters of Dallas Fort-Worth are able to get rid of the adult lice and their eggs,which are called nits. With locations in Frisco, TX, we serve customers throughout the Dallas Fort-Worth area. Their services utilize an all-natural killing agent that gets the job done in one quick treatment, and we guarantee their results. Don’t waste time or money on over-the-counter head lice removal products that don’t work. Simply contact the professionals at Lice Lifters for guaranteed head lice treatment results, and after a quick trip to Frisco, this problem will be a distant memory for you and your child. 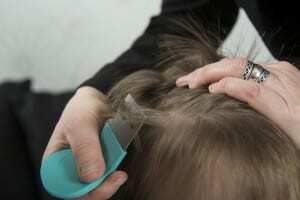 As the Dallas Fort Worth area gets hotter, Dallas head lice problems rise. Summer is a time filled with lots of family, friends, and activities. Even though your kids are out of school for the summer, the prevalence of head lice increases during warmer months. 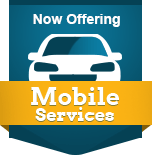 Lice Removal for Dallas TX area residents is as unique as our weather in our area. 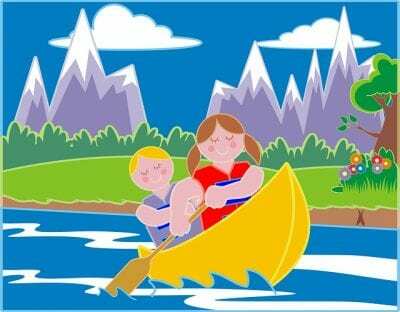 Camps especially put your kids in close proximity with one another so that the likelihood of lice moving from one scalp to the next increases dramatically. Be mindful of what you kids take to camps and to sleepovers. Encourage your kids to bring their own pillows and not share brushes or hats with their friends. Since head lice only survive on human scalps, this will dramatically reduce the likelihood of your kids coming home with head lice. As a parent, be watchful. When your child comes back from overnight event or from spending time at a friend’s house, know that nits are more easy to see in natural light, so feel free to see if you notice any nits on your child’s scalp. Taking that extra moment to look things over could save you and your family from a lice outbreak. Take advantage of our lice head checks that we offer at our Lice Lifters locations. Drop by and let our certified Lice Lifticians take a look for themselves. Give our professionals a call at our Frisco location at 972-294- 3539 to answer any questions you have. For some, ridding your scalp of head lice is more than a simple annoyance. Perhaps you have experienced this infestation previously and have your own methods to get rid of the little monsters, but those methods may be outdated. You cannot simply remove them yourself. In fact, today’s lice will require the touch of a professional lice remover, like those at Lice Lifters. Using combs and brushes, but never sharing them with other people. Never share towels with another individual. Teach your child not to share any item that may come into contact with their head. For the most part, removing head lice is an extremely difficult task that requires more than simple over-the-counter methods to do anything. The best option is to simply prevent contracting head lice in the first place. To do this, avoid using shared spaces –such as lockers or clothes hooks- whenever possible. These are breeding grounds for head lice. Have your child remove their items from cubbies at school, and wash everything thoroughly afterward. If these prevention tips do not work, however, and you still find your scalp crawling with lice, make an appointment with our offices today. If you require further tips, advice, or treatment options, call Lice Lifters today for an appointment at972-805-1308. Our welcoming customer representatives would be more than happy to help with your problem today.